Luca is an experienced dive instructor with experience all over the world. He taught diving in Thailand, Nicaragua, Honduras, Philippines, Spain and from 2017, he joined Sea Spirit in Sicily. 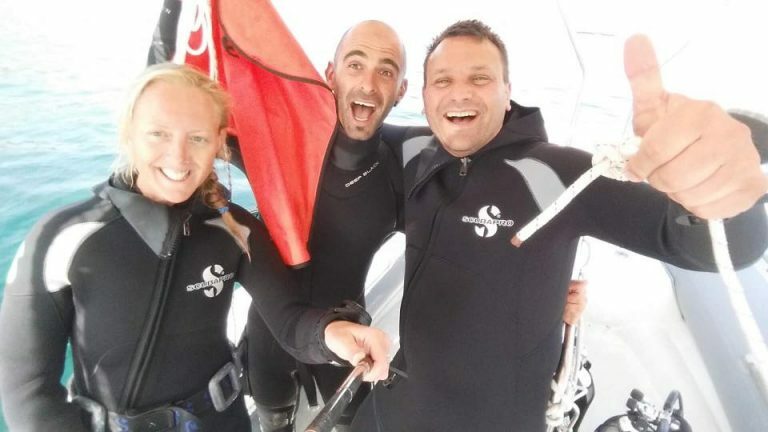 By now Luca certified more than 500 people and at Sea Spirit you will find him mostly driving one of our boats and teaching people diving with a patient attitude and warm hart. When not teaching, you might find him under water with his camera trying to catch the treasures between the rocks of the Isola Bella.